Welcome to the first in a new series of posts for Meee, each week we will be bringing you an interview with people working in various industries to give you a better idea of what certain jobs entail, allowing you to better understand a job, decide if it is for you and finally to tailor any application. 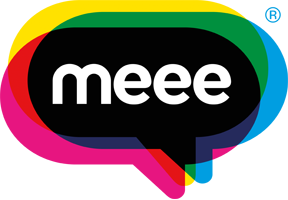 When entering a Meee employment workshop, participants are asked to state what sorts of jobs they would like in the future, the jobs featured in this series have been selected from these answers and cover all of the most common themes seen. Our first interview was with an Equine Groom who works 6 days a week, Tues-Fri 5pm-7pm, Sat & Sun 11am-2pm. A typical day includes tasks such as mucking out the horses, filling hay nets, feeding & watering the horses, sweeping the yard and generally being responsible for the health and welfare of the animals. In this job it is important to be reliable and have good communication skills. Being flexible with working hours is a big help, as is being independent and using initiative. The ability to quickly adapt to ever changing situations or emergencies is also key. When asked about the role, our interviewee said that “being able to work with the horses and being paid for doing something I'm passionate about,” as well as “constantly learning new things all the time” was what made this job so enjoyable. However, the downsides can include “suddenly doing a lot more hours than expected” and “work days changing, which makes it difficult to plan things outside of work”. We asked each person what they would be looking for in an application if they were to be employing someone for their role. For an equine groom; some previous experience working with horses would be helpful but not necessary, while being able to communicate effectively and listen well is crucial. Working as part of the team and independently; being compassionate towards the animals and very hardworking are also key in this role. Actual qualifications aren't necessary but some land based or equine study would be advantageous.